http://wp.me/p4ayEo-14G for you reading enjoyment! Super quick this week. I surprised myself! Perhaps I spend too much time thinking, both of poetry and war. Thanks for the challenge. It triggered one haiku. 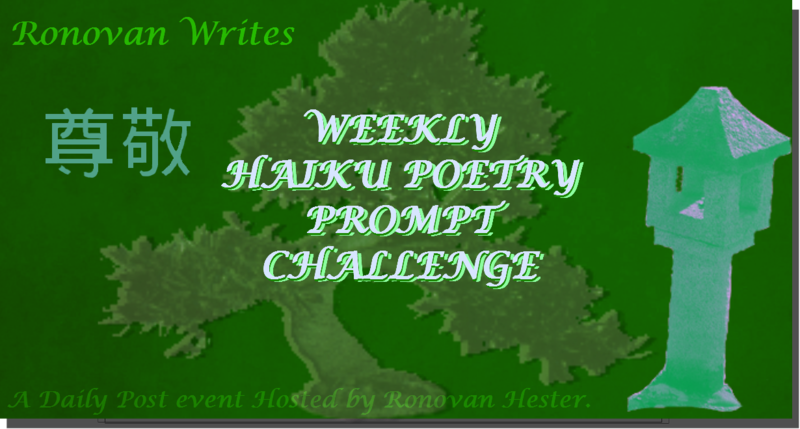 I haven’t done a batch of haiku for a while… have remedied that here 🙂 Great prompts! Yippee! I did it again this week https://imanikingblog.wordpress.com/2016/02/17/milk-smooth/ what do you think? Hi Ronovan,this my first entry to your haiku challenge… please have a look..